What are wasps and hornets? Wasps and hornets are insects in the Vespidae family and Vespinae subfamily, belonging to different genera each of which subdivides into various species. The genus Vespula refers to the eusocial wasps, whilst the genus Vespa refers to the Hornets. Vespula vulgaris and Vespula Germanicus are the most common species in Britain, the latter being an invasive species thought to have flown over the sea from the European Continent. Vespa Crabo is, at present, Britain's only known species of hornet. Hornets are larger than wasps. 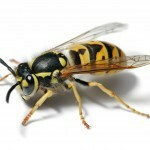 Hornet venom is more potent than wasp venom. Wasps are more likely to build their nests underground or other enclosed spaces, such as animal burrows or tree hollows. Hornets are more likely to build their nests in the open, and at heights, such as in trees and the eaves of buildings. Vespid venom is a biochemical cocktail and a high dosage of these toxins can be life-threatening. Exposure to wasp or hornet venom can result in an anaphylactic reaction which could deteriorate into anaphylactic shock, which can prove fatal. Wasps and hornets can attack as individuals, or as a swarm. Wasps and hornets can sting multiple times. Vespid nests in human habitations disrupt tranquillity in the home and cause disruption in the workplace, therefore Bolton wasp control is essential. The most effective means of wasp control is a Bolton wasp nest removal treatment. Bolton wasp nest removal treatment should only be attempted by wasp control professionals. It is important that the Bolton wasp nest removal treatment is effective and that the sincerest efforts are made to avoid anyone being stung in the removal process. This is why nest removal should always be left to the experts.